With a record 35,000 plus recruitment agencies in the UK, and with that number set to rise in 2018, more recruitment agencies are considering branding and marketing as a competitive tool to help them stand out. Using video content as part of your branding and marketing can help you differentiate in an authentic and personal way because it can show, rather than tell, what your agency is like to work for, what you can offer your clients and what value your candidates can bring. It can also help you to start conversations with new and dormant clients, candidates and recruiters, supporting you in building and nurturing those valuable relationships. 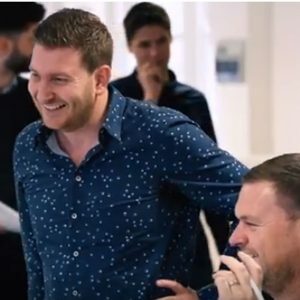 Sphere Digital’s brand video offers an honest insight into their workplace, their employees and what a career at Sphere Digital would be like. It demonstrates the culture, values and personality of the company which is almost impossible to get across in written words. It allows clients, candidates and recruiters to connect with the people they see in the video, helping them to decide whether the agency is one they would like to work with, for, or to act on their behalf. The video is centre stage on their website and on their LinkedIn page and feed. The Portfolio Group supports its own recruitment search by letting its recruiters do the talking. Instead of reading a job spec on careers page, recruiters can connect with their would be peers and colleagues in this video. It offers an unscripted insight into the perks, benefits, training, culture and possible career path available and shows the diversity within the Group, as well as providing an understanding of why fellow recruiters joined. The video is on their “Join our team” page on their website and on their Facebook page too. As job posts with video receive a 34% greater application rate than those which don’t (according to CareerBuilder), the video is helping them to start conversations and fill their vacancies. Similarly, the video is perfect to encourage employee referral as it can easily be shared by existing staff. 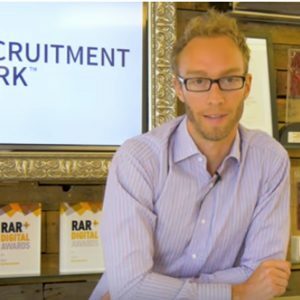 In this video, Sleeping Giant Media positions Luke, their Digital Leader of 2017, as a search marketing expert that can help answer the questions posed by recruiters relating to the Google Jobs feature. I know, it isn’t of a recruitment agency, but it can still be learnt from. Offering informal, unscripted advice in a personable way, while still having a branding opportunity, has positioned the agency as experts and possibly valuable partners in search marketing. The recruiters within your agency have a wealth of knowledge and expertise and are also familiar with the regular questions and challenges faced by your clients and candidates. You may also have a bank of white papers or survey findings that could add value to their recruitment experience. Turning this knowledge into engaging video content, which can be used on LinkedIn, on your website or on social media, can differentiate you and position you as a valuable recruitment partner, rather than a potential one off supplier. The videos could be used in emails to dormant clients and candidates to re-start conversations and also be emailed to existing clients and candidates to nurture the relationship until needed. Using video gives recruitment agencies the opportunity to engage creatively across the board. For those agencies that adopt it now, it will help differentiate your agency and help to build and nurture more valuable relationships. Take a look at more video content ideas.